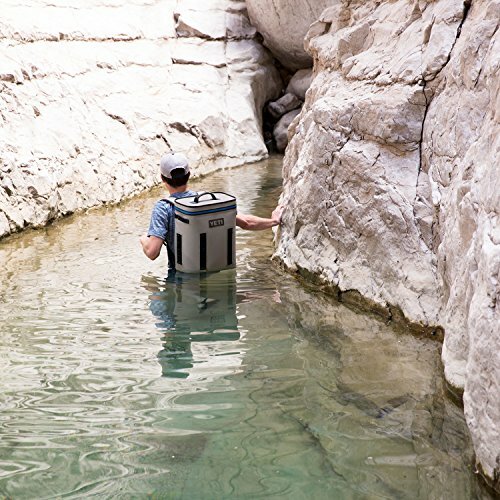 » YETI Roadie vs Hopper – Which is the Best Cooler? Four miles in the hot sun. That’s how far you trekked to get out to that gorgeous vista, the one with the best view around. You reach into your cooler and pull out a bottle of water and your sandwich. The water is warm, not at all refreshing. Your sandwich looks slimy. The break you’ve been looking forward to is ruined, and now you have to walk back, hungry and low on energy. When you settle for a cheap cooler, you often get what you pay for. 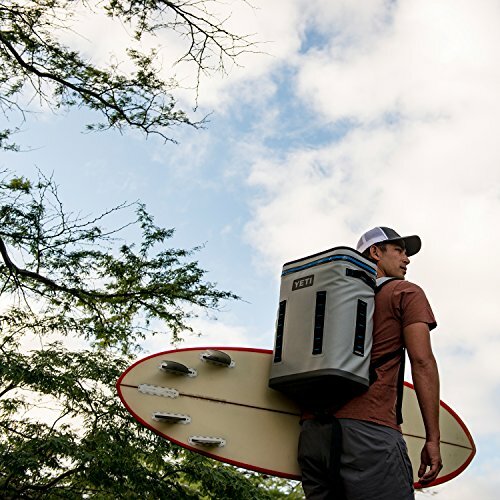 YETI is one of the top cooler brands out there, with a wide selection to suit your adventure-of-choice. In this article, we’re going to talk about the YETI Roadie as well as their Hopper line. How Do You Choose a Cooler? What is the YETI Roadie 20? What are the Dimensions and Specs of the YETI Roadie 20? What Features and Technology Do the YETI Roadie 20 Have? What is the YETI Hopper? 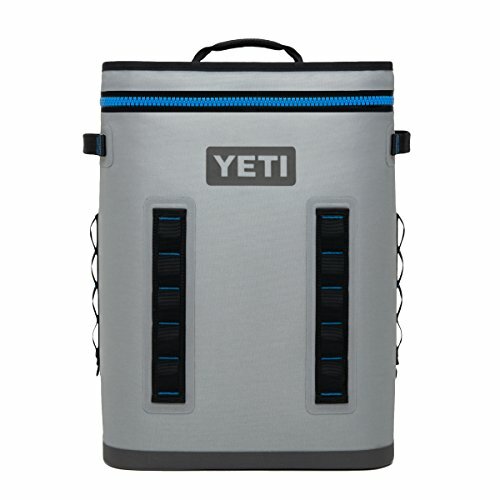 What are the Features and Technology of YETI Hopper Coolers? How Do the YETI Roadie and Hopper Compare? Before we get into the Roadie and Hopper coolers from YETI, let’s quickly go over what to look for when choosing a cooler. This one’s pretty obvious – the more you need to fit in the cooler, the larger the interior room has to be. The Roadie and the Hoppers don’t have a ton of capacity, but they can get you through a long weekend in the great outdoors. How much abuse are you going to put your cooler through? This will determine how durable it has to be. If you’re going to take it to work every day and leave it in your truck, you probably don’t need it to be as durable as a tank. If you’ll bring it with you on outdoor adventures, though, and use it as everything from a cooler to a chair, table and step stool, you’ll probably need it to withstand more punishment. Perishable foods like dairy and meat can be dangerous if spoiled, especially when you’re in the middle of nowhere. When it comes to insulation, consider two things – how long the cooler will keep beverages and food cold and how cold it will keep them. The cooler you choose should be easy to use for your purposes. For example, do you need to be able to reach into the cooler with one hand to grab a drink? A cooler with a zipper may be hard to get in and out of this way. Think about how you’ll use the cooler to determine what type of lid or opening you’d prefer. Heavy coolers aren’t as portable as light coolers, obviously, but if you’re not going to be carrying it very far, that might not matter. Think about where and how you’ll be transporting the cooler. This will help you decide what type of handle(s) you want and if you need to secure the cooler to a vehicle that’ll be bouncing around. YETI coolers are expensive; you may not need such a high-end cooler. However, the high price tag is worth it for a lot of buyers because their YETI could be the last cooler they ever have to buy. When it comes to pricing, you can look at it two ways: if you don’t use a cooler often, YETIs will last you forever; if you do use a cooler often, YETIs have an excellent chance of holding up. 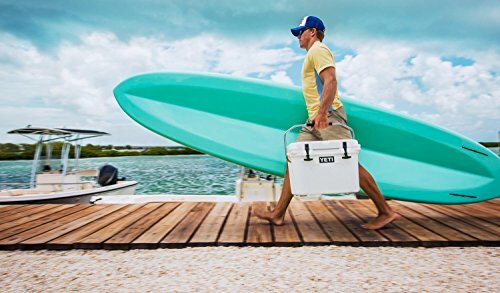 The YETI Roadie 20, which costs $199.99, is a small, hard-sided cooler for day-long or weekend trips. It comes in four colors: Reef Blue, White, Desert Tan, and Ice Blue. It’s on the heavy side, but it’s still somewhat easy to carry because of its small size. You won’t want to lug it along on a short hike, but it’s the kind of portable where you’ll grab it every day on your way to work or as you’re heading out to tailgate. It’s easy enough to take along if getting from Point A to Point B isn’t too much of a trek. The Roadie is small, and that’s the point. The outside is 13 5/8” × 14 1/4” × 19 inches. Its empty weight is 15 lbs. This is heavy for such a small cooler, and it only gets heavier as you fill it up. Anchorpoint Tie-Down Slots: Mount the Roadie to your boat, truck or trailer. ColdLock Gasket: Keep ice colder for longer – and keep it ice instead of water. The gasket circles the lid to keep heat out and cold in. Fatwall Design: Extra-thick walls and excellent ice retention. Interlock Lid System: Keep the heat out. Lipgrip Handles: Easier carrying. The steel top handle will also lock to stand upright and stay in place, no matter how bumpy the car or the boat gets. There are also non-skid feet so it doesn’t start sliding around the back of your truck. Locking Capability: Lock it shut, whether you’re worried about bear or people getting into it. Neverfail Hinge System: The hinge is practically break-proof. No Sweat Design: It won’t sweat – no cleanup! Permafrost Insulation: Pressure-injected, commercial-grade polyurethane foam in the walls and lid to keep your ice in solid form. Rotomolded Construction: Armored and indestructible. You can use it as a seat without making a dent, or turn it into an impromptu table or step stool. T-Rex Lid Latches: Heavy-duty rubber latches that won’t break. There are a number of YETI Hoppers to choose from. While they vary in color options, price, size and features, the biggest thing to know about the Hopper collection is that they’re waterproof, making them a great option if you’re going fishing or taking the canoe out. Comes in two color combinations, Fog Gray with Tahoe Blue and Field Tan with Blaze Orange. Cost is $299.99. Size is 13” x 16 ¼” x 10 ¾ inches. Comes in the same color choices as the Flip 18. Cost is $199.99. Size is 8” x 10 1/2” x 11 ½ inches. Comes in the same color choices as the Flip 18, plus Charcoal. Cost is $249.99. Size is 10” × 11 1/2” × 12 ? inches. Comes in the same color choices as the Flip 18. Cost is $299.99. Size is 12” × 18” × 25 inches. Comes in two colors, Charcoal, and the Fog Gray and Tahoe Blue combination. Cost is $299.99. Size is 13 3/4” × 19 1/8” × 8 ½ inches. Coldcell Insulation: Closed-cell rubber foam for insulation. Double-Stitch Carry Option (Hopper Two 30 only): Detachable shoulder strap and three sets of reinforced handles, giving you several options for how to carry the cooler. Dryhide Shell: High-density, waterproof fabric that’s resistant to mildew, punctures and UV rays. Hitchpoint Grid: Attach items to the cooler. Hydrolok Zipper: Water- and leak-proof zipper. Tie-Down Points (Hopper Two 30 only): Six tie-down points to secure the Hopper. The Roadie is a hard-sided cooler, while the Hoppers are soft-sided. No matter which Hopper you choose, you’ll get more volume and much less weight than with the Roadie. However, the Roadie has twice as much insulation as the Hoppers throughout the entire cooler. One major reason why the Roadie provides better insulation is its foolproof hard lid. With the Hoppers, if the zipper is left open a bit, warm air will get in. That doesn’t mean the Hopper has poor insulation, though. It still does an excellent job at keeping food and drinks cold, even after 24 hours – your meal may not be as chilled as with the Roadie, but it won’t be warm, either, and your ice won’t be completely melted. And since it’s leak-proof, if some ice does melt, it won’t leak out of the cooler. Something to know about the zipper: it’s incredibly durable, which is great, but it can start to close by itself and may even snag you as you try to grab something from inside. If having the cooler be waterproof is important to you, though, those may be small sacrifices compared to keeping the inside completely dry. The Hopper is durable overall, especially for a soft-sided cooler. You don’t have to worry if you drag it a bit or it rubs up against something – even if it shows signs of wear on the outside, the insulating capacity of the cooler won’t be affected. Some may find the Roadie to be too much cooler in terms of insulation power for a short trip. If you’re going to be eating and drinking within a few hours, you don’t need it to stay as cold as it’s able to. However, if you’re not sure exactly how hot it’ll be, if the cooler will be in high heat (like the back of your car on a hot, humid August) day or if it’s possible your day will run a lot longer than expected, that powerful insulation will ensure cold drinks and preserved food. Also, if you’re bringing meat along with you, you don’t want to take any chances. That said, if you’re going to be out in the rain or around water, especially if you’ll be on the water in a boat, opt for one of the Hoppers, just make sure that zipper stays closed! You’ll also want to choose a Hopper if weight is an issue – even the heaviest Hopper comes in quite a bit lighter than the Roadie, so it’s easy to transport farther (for example, if you want to bring it on a hike) and it won’t weigh down your boat, canoe or kayak.